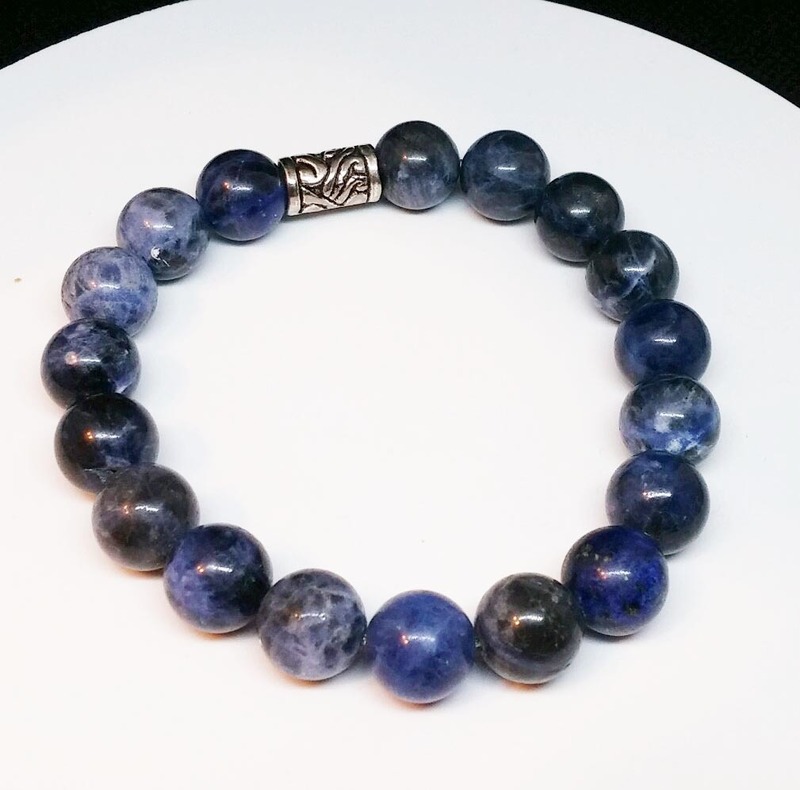 Stretchy bracelet with 8mm dumortierite stone. 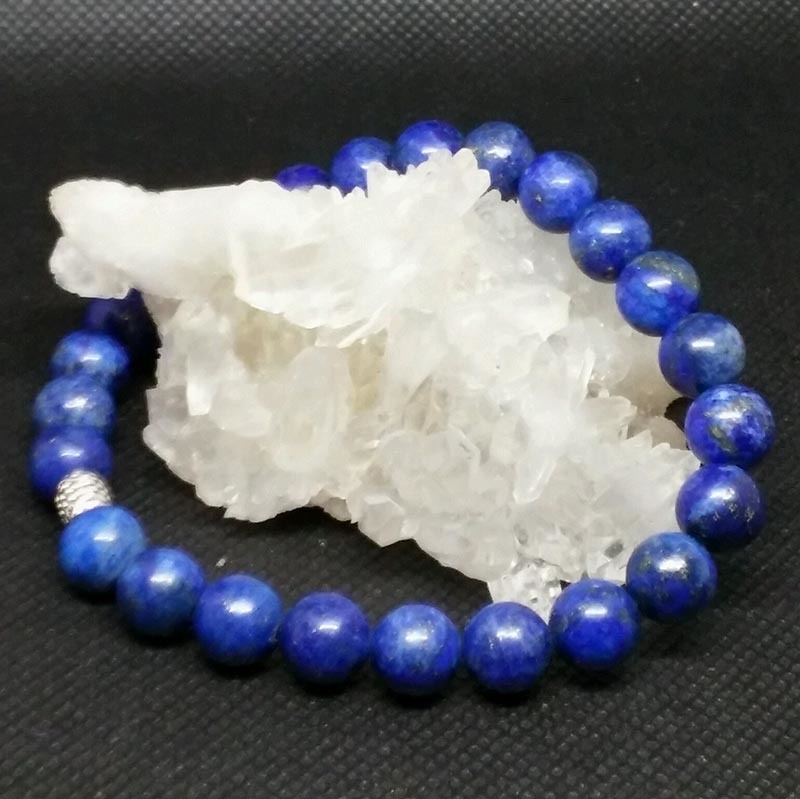 Dumortierite was first described in 1881 and takes its name from the French paleontologist Eugene Dumortier. It is a stone that is used not only in making jewelry but also for several industrial purposes. It is used to make ceramics and porcelain because it turns into a color of pure white when exposed to fire or heat. 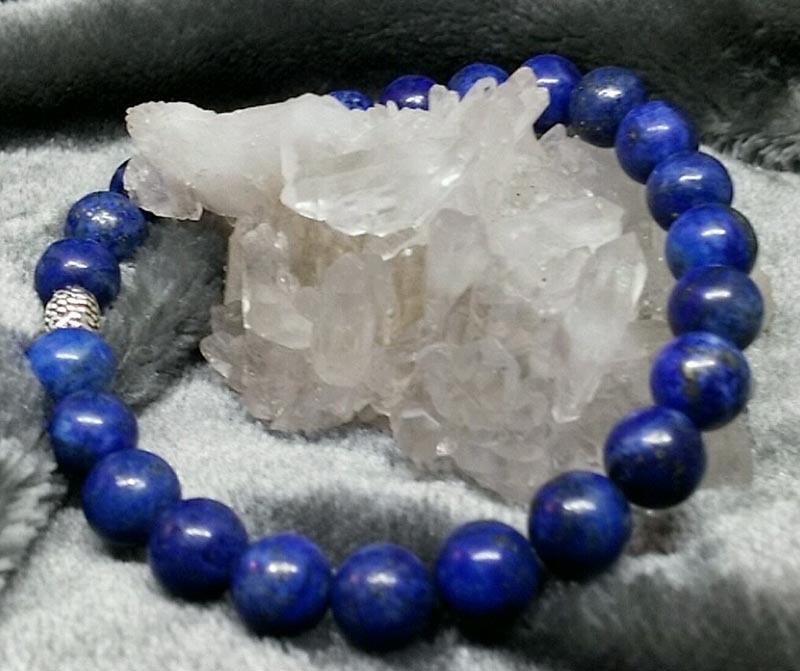 Dumortierite looks very much like sodalite and lapis lazuli. Its colors range from pale to dark blue. Historically this stone has been used to treat many digestive issues, headache, diarrhea, stomach ache, and other intestinal problems. It can also help relieve vomiting, nausea, cramping, and colic in babies. Some use it to treat skin disorders and other pains, aches, or illnesses in the thyroid or parathyroid areas. When placed in the affected areas, this stone is said to ease sunburn. Some carry it when traveling to ease motion sickness, and others say it's a powerful stress buster, just like Bronzite. 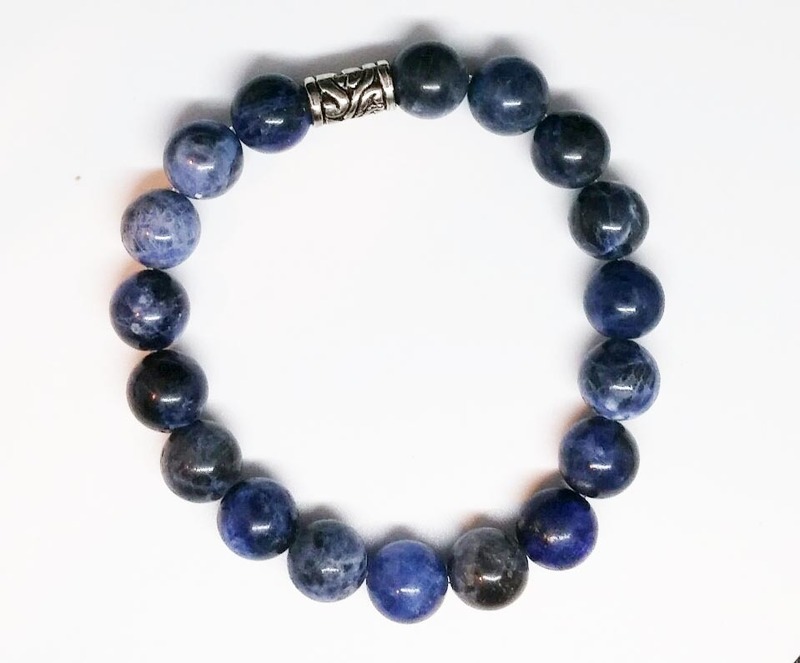 Another account says, "if you’re trying to lose weight, Dumortierite can also help you achieve your ideal body weight because it can regulate your metabolism and help with endocrine problems!"